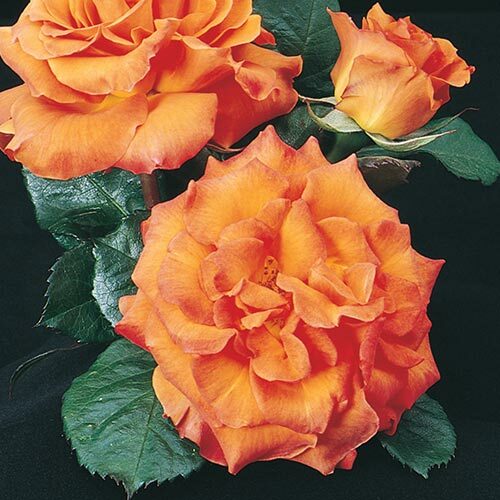 Gingersnap Floribunda Rose | Gurney's Seed & Nursery Co. Spectacular blend of lightly fragrant, yellow and orange-hued flowers shine against the dark green foliage. Cooler temperatures make the flowers even brighter. A more compact, rounded rose plant, it grows 3-4 ft. tall with a similar spread. Full sun to partial shade. Zones 4-10. Soil RequirementsWell-drained, humus-rich amended, slightly acidic soil. PruningDeadhead continually. 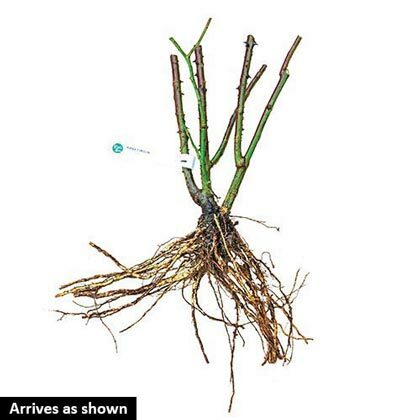 Early spring - remove dead or weak branches and prune to outward facing bud. CommentsSpectacular blend of lightly fragrant, yellow and orange-hued flowers shine against the dark green foliage. Cooler temperatures make the flowers even brighter. A more compact, rounded rose plant, it grows 3-4 ft. tall with a similar spread. Full sun to partial shade. Zones 5-10. DepthDig a hole large enough to spread out the roots without bending them. Firm the soil well and water thoroughly.